Going to Disneyland can be such a magical experience. I remember as a kid, the excitement I had walking up to the gates and in through the Disney castle. We lived about 30 minutes from Disneyland until I was 6 so we went quite a bit; but every time I always got just as excited as the last. One thing you don’t realize as a kid, well maybe you do but I never realized it, was how expensive Disneyland can be. We took our boys their last week during our vacation to California and, though a lot has changed since the last time I went twenty years ago, I still got a giddy feeling in my stomach riding the tram to the gate. But this time I realized how expensive things were. And how kids want EVERYTHING they see! Big Disney Balloon $15, Stuffed Mickey $40, Bottle of water $3. Lucky for us, we went for Mickey’s Not So Scary Halloween Party so there was plenty of trick or treating and other activities to keep them distracted from wanting everything they saw. 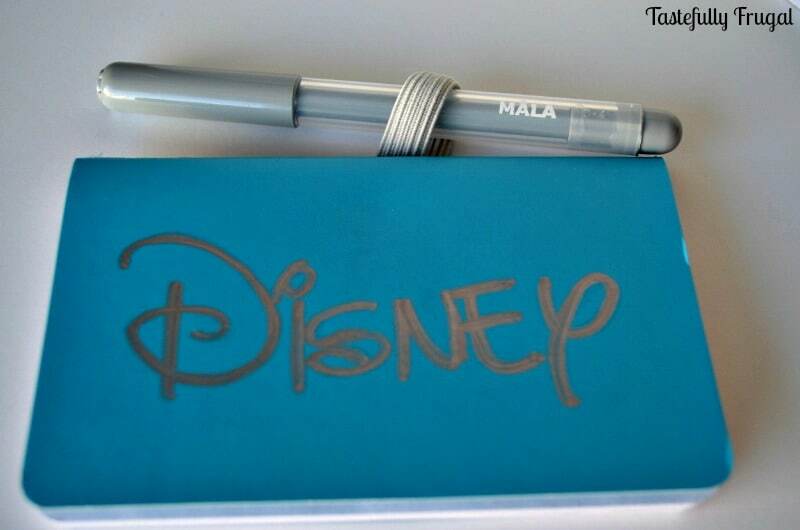 One of my fondest memories of our Disneyland trips were getting all the characters’ autographs. I remember picking out my soft-covered booking, a special pen and then waiting in line to get Minnie or Daisy’s autograph. I still have that book, packed away in storage somewhere, but it was something I wanted my boys to experience to. Before the trip, being the cheap frugal mom I am, I looked online to see how much those books were. They cost anywhere from $10-$20! And I had to get two!! No thank you, I could find a much better way to spend $40 (like buying 2 slices of pizza, chips and a drink while we were there, but that’s another story). We were doing this trip on a budget and I just couldn’t justify spending that kind of money on something as small as a book. So I decided to make them! You may remember the spañita I talked about at The Spa Party I went to a few weeks back. Well part of the loot I grabbed were a few of these Farggrann notebooks. 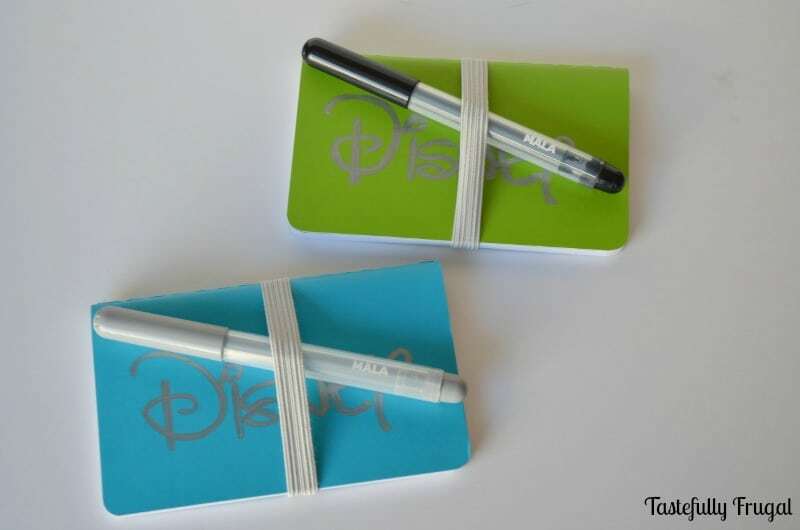 They are the perfect size for little hands and would be great to use for the autograph books. The price tag was even better free! 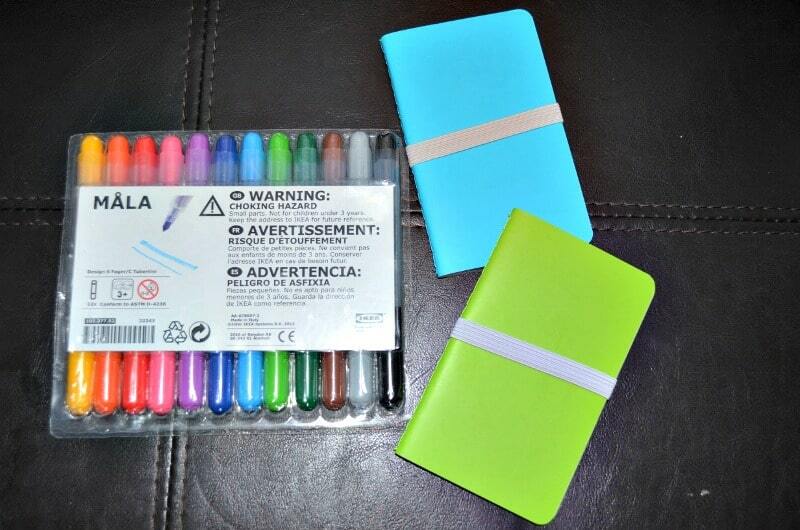 If you don’t have any on hand they are only $.99 so they will fit into almost any budget! So I grabbed my Mala pens and set to work creating the books! Now God blessed me with many talents, art and drawing were not on that list. I pulled up the Disney logo on Google and probably sat there for 45 minutes trying to perfect it. Finally I had enough confidence to try it on the book. The Mala pens were actually not dark enough, which was perfect because I could draw the design and then use a wet cloth to erase any mistakes. So I ended up using a silver Sharpie to finish them. And there you have it. 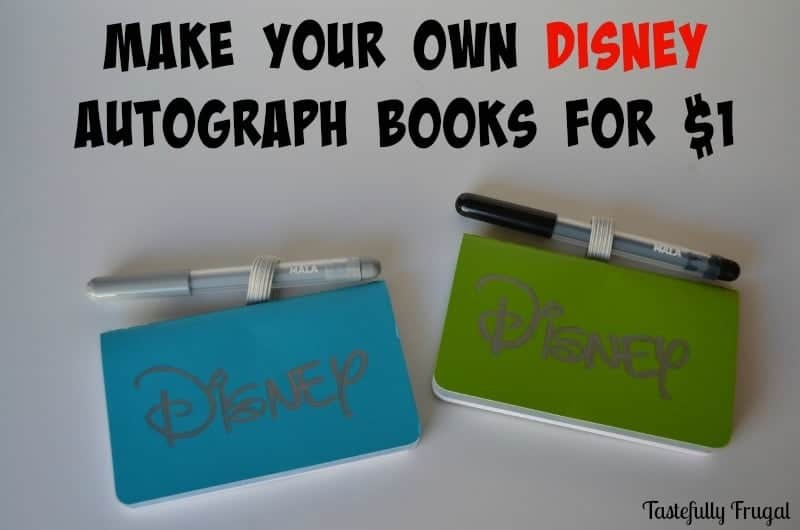 Less than an hour (less than 15 minutes if you can draw) and less than $1 and you have yourself a perfect Disney autograph book! 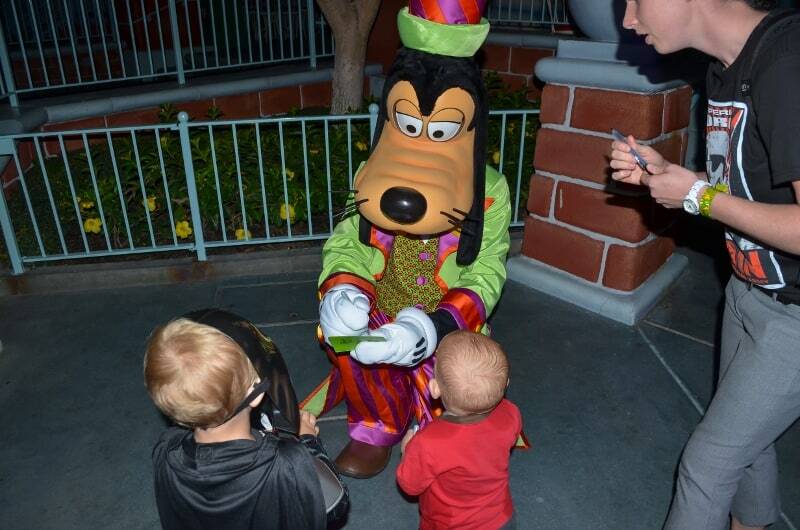 Even Goofy was a fan! Do you have any fun Disney traditions? 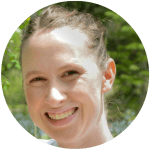 I would love to hear about them! See how we do Disney on a budget here. And don’t forget to use code TFRUGAL for $10 off your vacation package! This is such a great idea! Will definitely be using this next time we take a trip to Disneyland! Thanks Rachel!! I hope you have a blast on your trip!! Love this!! And we go to Disneyland all the time. It will be helpful when my baby gets bigger and wants autographs! Those books can be expensive! Pinning! Thanks so much Bianca! Yes they are ridiculously expensive for what they are! What a great idea! I’m totally going to do this when we go! Awesome! I would love to see how yours look Danica! Great idea! Great way to save money too!! Thank you Gina! Yes, every penny counts! This is such a cute idea!!! I’ve only been to Disney once and was in high school (and thus too grown to admit to my friends I really wanted to wander around and get all the princess’ autographs) but this is so stinkin’ cute for little ones to have memories for years! Thanks Kim! Yes waiting til the kids are older is a great idea when it comes to Disney! We will wait a few more years before we go again.